Thank you! It really was good!!! That looks fabulous! We skipped the corned beef and cabbage this year too as we opted to go out instead, but I must make this soon. The mashed potatoes sound like they’d go really great with it. Thanks! The mashed potatoes are always good. If I wasn’t cooking such a big brisket and so much cabbage, I would have thrown the potatoes in the slow cooker. It was a really good meal though. We demolished it! 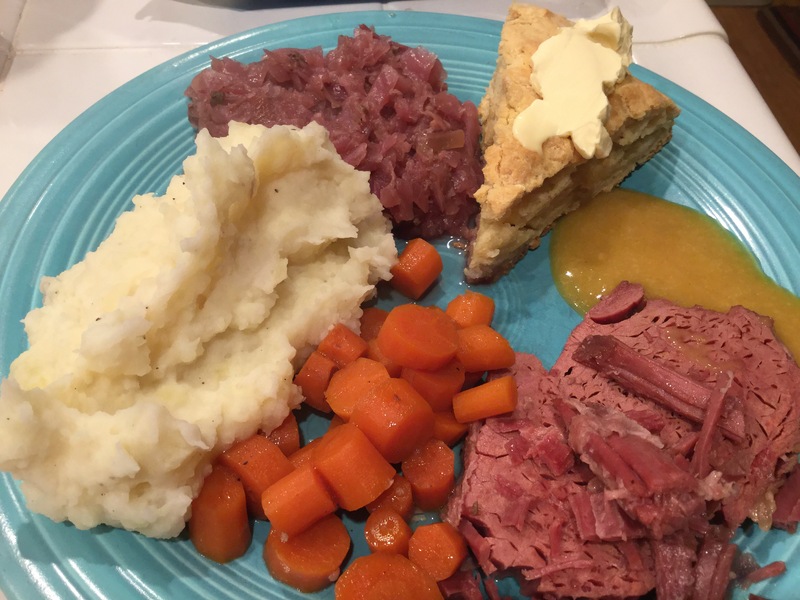 Corned beef is great any time of the year! Nom nom!